This queen bed's timeless yet causal style brings a sense of everyday sophistication to your bedroom. 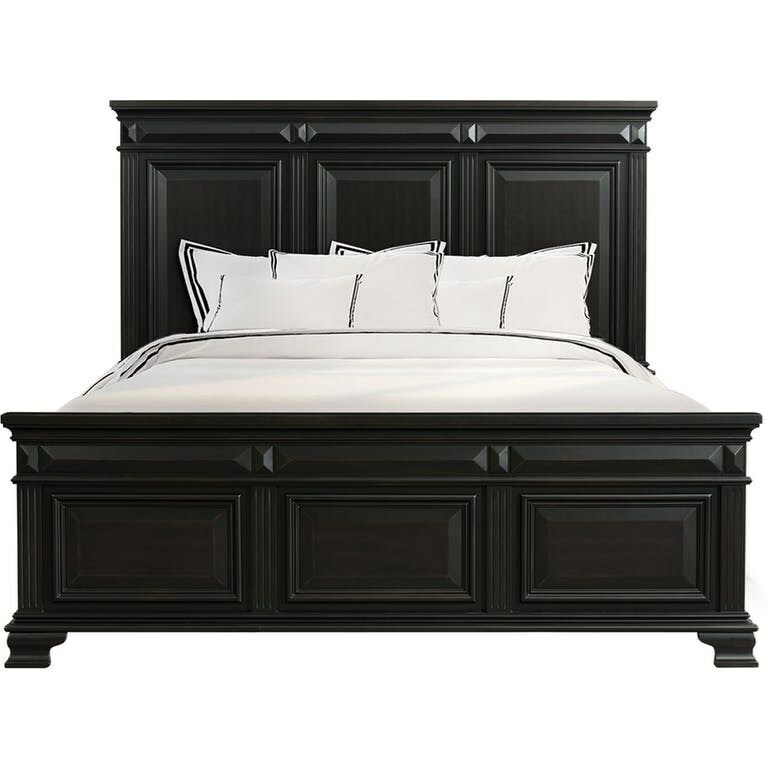 Its raised panels, fluted pilasters, and crown molding add a touch of classic appeal to this bed. The Calloway Traditional Queen Headboard and Footboard Bed by Elements International at Zak's Home in the Tri-Cities, Johnson City, Tennessee area. Product availability may vary. Contact us for the most current availability on this product. The Calloway collection is a great option if you are looking for Traditional furniture in the Tri-Cities, Johnson City, Tennessee area. Browse other items in the Calloway collection from Zak's Home in the Tri-Cities, Johnson City, Tennessee area.